Welcome to Gyrotonic Healdsburg - a boutique studio dedicated to teaching the GYROTONIC EXPANSION SYSTEM®. We are located in the heart of Wine Country! 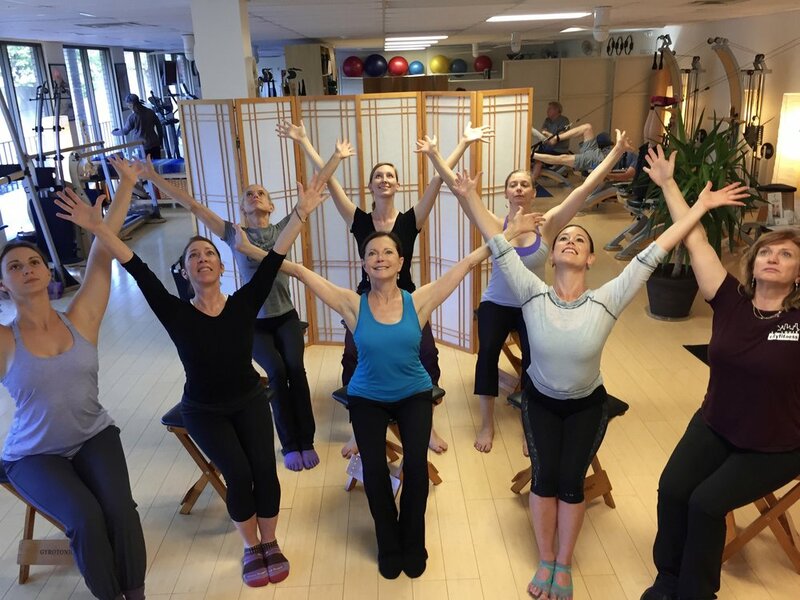 We offer Private, Semi-Private and small group classes on Specialized Gyrotonic Equipment. We also offer small group GYROKINESIS® classes which are without equipment. We offer instruction in the GYROTONIC® Method. GYROTONIC® Healdsburg is proud to provide a quality teaching environment, safe instruction, personal attention and customized sessions based on your individual needs and goals. We emphasize quality, safety and personalized GYROTONIC® instruction. We are equipped with a variety of GYROTONIC® equipment including 4 GYROTONIC® PulleyTowers, the Leg Extension Unit, Jumping Stretching Board, the Ladder, Archway and Gyrotoner. To schedule a private or semi private session, or for any questions, please email: info@gyrotonichealdsburg.com. it has to come without struggle."